Hello Tag! The dimensions on this bag are 23 x 11 x 12. Hello Granny! The dimensions on the bag are 23 x 11 x 12. So it just depends on the locker. Does it have an extended hand pull? 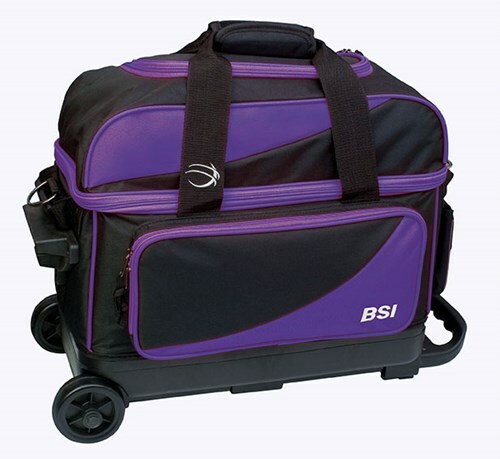 Due to the time it takes to produce the BSI Prestige Double Ball Roller Purple/Black ball it will ship in immediately. We cannot ship this ball outside the United States.